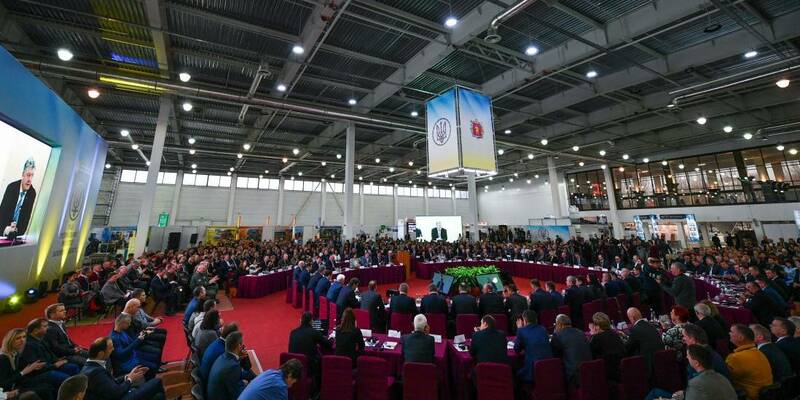 At the Regional Development Council of the Zaporizhzhia region, President Petro Poroshenko stressed that he would not allow the backslide of the decentralisation reform, which drastically changed life in all regions of the country. “The decentralisation is one of the most successful reforms. Although it is far from being completed, society has already felt the positive result,” Petro Poroshenko noted. “Today, it is impossible not to notice new roads, street illumination, new kindergartens, schools, outpatient clinics everywhere. It is impossible not to notice the radical changes for the better,” the President emphasised. According to him, the revenues of local budgets had increased from UAH 68 billion in 2014 to UAH 234 billion in 2018. Petro Poroshenko noted that the amount of state support for local and regional development was increasing. "If in 2014 the amount was only 500 million, this year it is about 31 billion. We bring the citizen, community and power closer to each other," he said. "Last year, a subvention for the construction, reconstruction, repair and maintenance of public roads of local importance was launched. This year, for the first time, almost 15 billion UAH is foreseen," the Head of State said. Petro Poroshenko said: "Decentralisation is not only a matter of redistribution of resources. This is a fundamental change in the whole life of the regions, a new format of people's participation in decision-making process". “Decentralisation has breathed a new life into local self-government. The results are obvious: sports grounds, energy-efficient schools and energy-efficient kindergartens. New conditions for entrepreneurship as well," he said. According to Petro Poroshenko, each amalgamated hromada should have an outpatient clinic, a modern school, a fire department, an administrative service centre. "Over the next five years, we will surely ensure this in every hromada, not only in the Zaporizhzhia Oblast," he said. The Head of State also emphasised the importance of continuing construction and reconstruction of roads, solving energy supply issues, problems of water supply in each AH. According to him, broadband Internet should also be organised. "We are currently working on the development of the "Farmer's House" special concept. In each village, the "Farmer's House" will be created, where the farmer will be able to receive high-quality consultation of agronomist, specialist in agricultural machinery and so on,” he also said. "The development of these new standards of decentralisation is my vision and my new initiative," Petro Poroshenko noted.